And no, I’m not Talking about Ronald McDonald. Though I do believe he and IT share the same body count. Given that he’s (IT’s?) 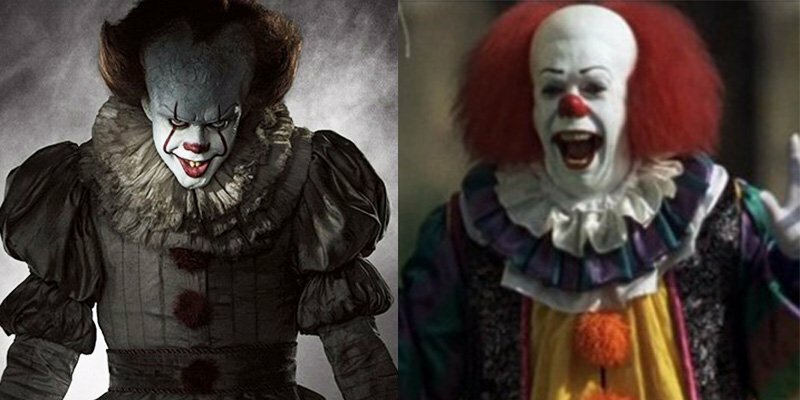 the most popular member of the scary clown club, I thought I would share a few of the scariest clowns in TV or cinema that make my heart jump just thinking about them and what they can do. Warning, these clowns might keep you up all night. These names are a big reason why. I had entertained the thought of not including Pennywise on the list. But it’s hard to title your article “5 scariest clowns” and not include him (IT?) on the list. IT’s not just the glowing yellow eyes, the sharp teeth, the forehead that seems to go for miles. It’s the bullying. The mocking. He knows your deepest darkest secrets, and he will expose them to you, and when you are vulnerable, he will strike. He’s the kid in class who knows how to take you down with his words as well as his fist. He’s the reason you think about taking that bottle of pills rather than face the world. He’s the ultimate monster. And he wears White Greasepaint. First it sits there, with its permanent grin, looking at you with its gangly legs and feet.Then it’s gone. You check under the bed, and it’s not there. But why would it be? IT’S RIGHT BEHIND YOU!!!! I’m sure sales of Clown related memorabilia plummeted after the release of POLTERGEIST. I’m specifically talking about Heath Ledger’s performance as the Joker. Jack Nicolson made the character seem fun, and the less we talk about Jared Leto the better. 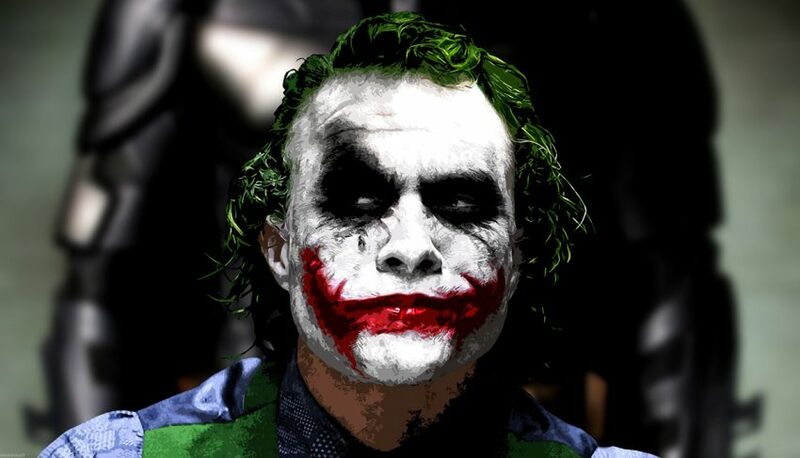 But Heath’s Joker, that guy was unstable. Being in a room with him, you never knew what was going to happen. And that makeup, haphazardly slapped on his face, and those scars? He has a story (or two) about those scars. The Joker’s always had a laugh at the expense of others, and Heath Ledger brought that madness to the forefront. His performance deserved the Oscar win, and it’s been hard to top since then. Yes, Jared, I’m looking at you. After a mistake with a birthday clown booking, Kent McCoy finds an old Clown Costume and puts it on, saving the day and earning the love of his son. But that costume is really the skin of a demon, and slowly, Kent transforms into a monster who lures people into his clutches by pretending to be this sweet, funny clown. The transformation is grotesque and the thrills real. This CLOWN is every bit as frightening as Pennywise, and even more so because he possesses an innocent man in the process. Twisty was a gentle but slow-witted clown who only wanted to entertain. But jealousy and rumors destroy his career, and at a depressed state, he attempts suicide by eating a shotgun. The attempt fails and he’s left with a mutilated face and a new lease on life. With his mask of a grinning face, and his dirty, disheveled costume, Twisty terrorizes the town, kidnapping children and murdering their mean parents. His grinning mask, with its gray teeth and dark lips, only amp up the nightmare. Thankfully, these clowns only terrorize us on film and television. You won’t find these clowns at the circus, or at your next birthday party. They aren’t real. It’s only make believe.